Scaffolding hoists are an important part of scaffold systems. Whether you are interested in a scaffolding rental or want to buy scaffolding, you will need a hoist to move large volumes of equipment from the ground to higher levels of the scaffold. A project completed with Scaffold Resource at the Department of Health & Human Services utilized dual cars, which are hoists with high speed capabilities. These hoists can transport workers, materials, and equipment, and are especially useful in projects that see a lot of traffic and must transport a high volume of materials. This project required the hoists to be installed according to special safety standards due to a nearby public traffic zone. 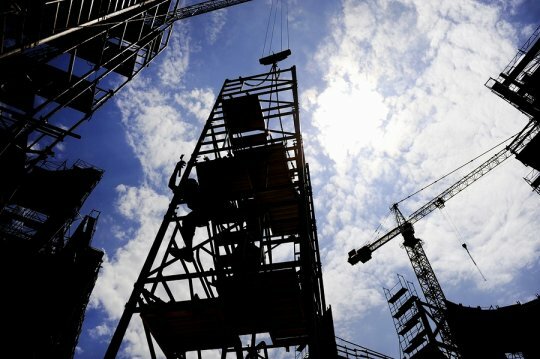 Are you looking to rent or buy scaffolding in Washington, D.C.? Scaffold Resource has all of the equipment you need for a scaffold rental, including scaffold hoists . Call (301) 924-7223 today to find out more about our equipment rental services. 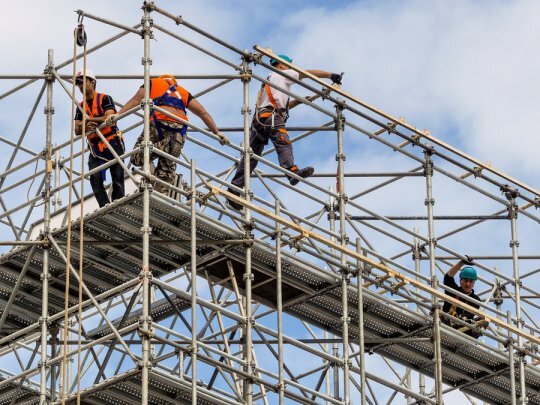 If your construction project utilizes scaffolding, it is essential to follow specific safety precautions in order to avoid accidents and injuries. Whether your company is doing a scaffolding rental or has bought scaffolding, safety should be the main priority during your construction project. Watch this video to learn more about safety basics when utilizing a scaffolding rental. You’ll see workers undergoing basic scaffolding training before taking on a real scaffolding system. During the training, workers are wearing protective gear, just as they would during a construction project. Is your company in search of scaffold rentals near Washington, D.C.? Contact Scaffold Resource for a scaffolding rental that meets the highest safety standards. Call (301) 924-7223 for more information about safe scaffold rentals.